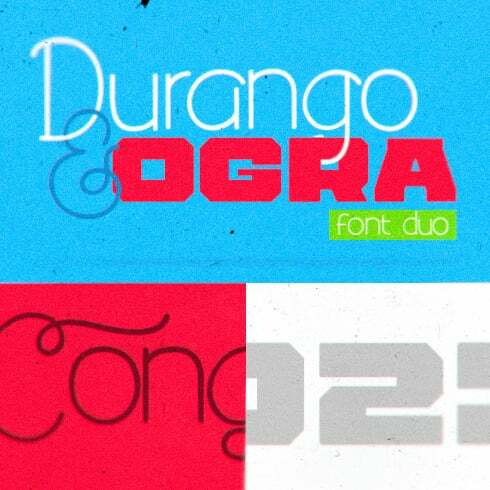 Durango & Ogra is the dynamic duo of typefaces, and like all great duos it is a combination of two contrasting typefaces that work harmoniously together. Durango is monoline and handmade typeface with flourishing alternates and ligatures, while Ogra is a heavy modern, geometric and industrial typeface. When you combine the two you get designs that don’t look too playful or too serious. 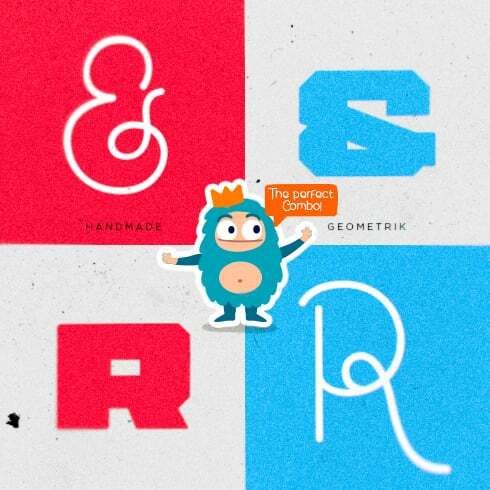 combining contrasting fonts adds character and personality to design work. Durango & Ogra has been created with all this in mind. We trust you will enjoy using it as much as we enjoyed making it. Font can be described as a graphic representation of text message. It could also be explained as a design pattern of a collection of characters. With various patterns, point sizes, font weight, and shade, fonts often establish the perception of complete design. Single font might be priced in the range of $7 to $100 depending on the publisher and marketplace. What Are The Kinds of Web Fonts? – Sans-serif – the letters without dashes at the ends, which gives them a more contemporary, “minimalistic” style and makes easier the visual comprehension of large content pieces. – Script – lovely cursive or handwritten typefaces where symbols are typically crossed with each other. Script is perfect for making an elegant, interesting and relaxed handwritten content. – Decorative typefaces – intended mainly for luring the audience’s interest or used for another specific effect or goal. Font bundles have become the favored offers for successful creative designers. A bundle is actually a collection of a number of premium fonts. A bundle costs much less than all these fonts on their own. It allows cutting down up to a whopping 99%. At Masterbundles, there are various font bundles in the range of $4- $50, depending on the size of the pack. In case you look for discounts, it can save you a great deal more and grab amazing fonts for commercial use. How Do Fonts Impact Impression of the Goods or Company? When thinking about designing advertising banners, one should take the selection of web font really seriously. Promo banner designers should opt for those styles of fonts that will correspond to the mood of their commercial. The font itself does not only carry info in a form of text but also fills it on an emotional level, provided one is put to use correctly. Normally, the advertising textual content gives the reader an idea of the company’s service, which means a properly-selected font will only help with needed aesthetic impact. I Haven’t Discovered Any Suitable Fonts within This Specific Package Deal. What to Do? If you have not discovered the suitable font inside this font bundle, don’t lose hope! There are tons of product bundles produced by the very best designers on MasterBundles.com. Invest time to look through them all and you will definitely uncover the perfect deal! It is so rewarding to eventually discover the deal that fits your creative and professional needs. Apart from web font packages, we have numerous helpful design and development kits to present. Those can have a great influence on your work efficiency if you are a graphic designer or illustrator. Those are pre-made packs with premium infographic elements, vector illustrations, WordPress templates, and overall, graphic kits with numerous products together. All of those kits are super affordable during the promo period, so you better monitor those discounts before time runs out! MasterBundles is the perfect marketplace for getting website design solutions that will surely improve the way you work in times. We offer awesome sales (approximately 99%) on all solutions and web bundles because we want to make them inexpensive for absolutely everyone regardless of their funds. Even so, hurry up, as the offers on most sets last for only five days. In case you don’t want to miss out on the discounts, simply subscribe to MasterBundles.com newsletter and stay up-to-date with the most current arrivals and accessible coupon codes. To see the available vouchers, visit this page.